Wanganui Airfield is a superb location for Flight Training due to its unclutted airspace, mild climate and well maintained airfield. Sealed and grass runways are available on a variety of vectors to suit different wind directions. The airfield is situated close to training areas and for training in controlled airspace Palmerston North Airport is only a short flight away. 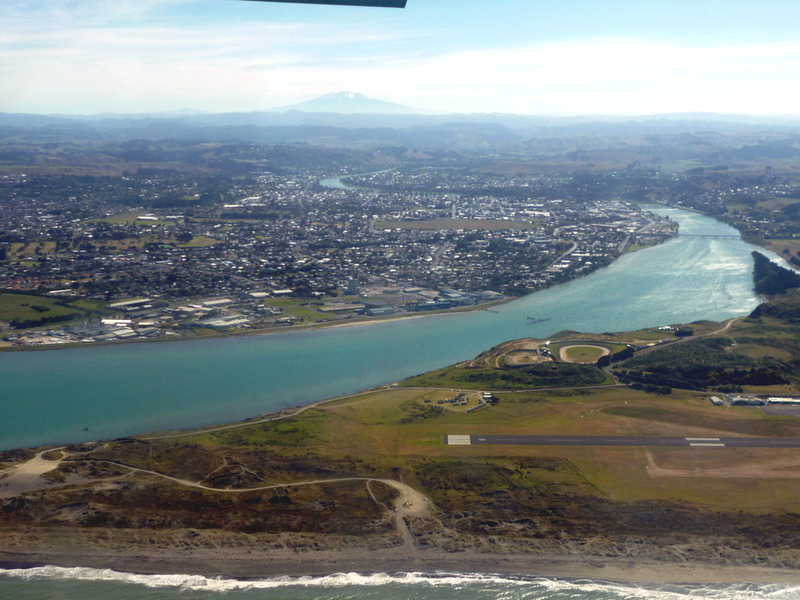 The Wanganui area is very scenic for flights with views of the coast, river, as well as on clear days views right to Mt Ruapehu, Mt Taranaki and the South Island. Wanganui is also an ideal central base for hiring one of our aircraft for a few days away. Auckland, Coromandel, Tauranga, Taupo, Wellington and Nelson are all within a few hours flight from Wanganui. For visiting pilots to the airfield South Beach Café offers great food and coffee. http://www.wanganuiairport.co.nz/passengers/south-beach-cafe. Av Gas is available for both Z Energy and BP uses.